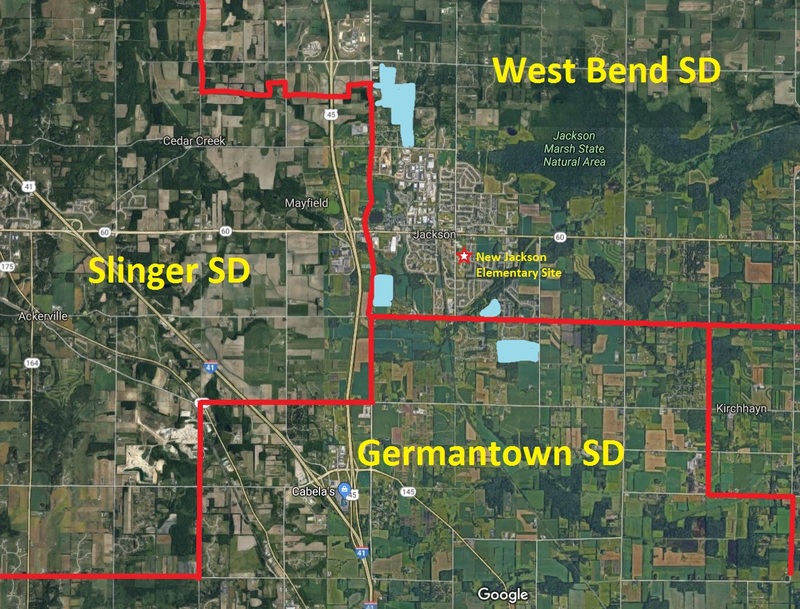 March 25, 2019 – West Bend, WI – A formal complaint is expected to be filed today against the West Bend School Board in connection with knowingly violating policy on a campaign mailer. During a regular meeting this past January 14, 2019 the School Board discussed putting a referendum on the April 2 Spring Nonpartisan Election ballot. Board member Ken Schmidt questioned the level of transparency the district would provide taxpayers. Cited was Policy 615which stated the total referendum amount with interest would have to be placed on all mailers, marketing material, and discussed at informational meetings. “And to answer Mr. Schmidt’s question, ‘If the proposal is adopted by the board any additional communications, mail materials, postings, communication to the media, presentations at board meetings, other meetings in the community need to disclose those items as well.’ So it does appear to be an information proposal requirement,” said Zwygart. Apparently a mailer distributed throughout the West Bend School District on Friday, March 22, 2019 failed to disclose the $74 million referendum total as required in Policy 615. Emails have been placed to board president Ongert and board members Tiffany Larson, Kurt Rebholz, Chris Zwygart, and Ken Schmidt. Zwygart did respond via email and indicated he would have more information on Monday, March 25. I attended the referendum informational meeting at Jackson Elementary last night. For the uninitiated, the West Bend School District is asking the voters to borrow $47 million with a $74 million payback to build a new Jackson Elementary building and do a bunch of renovations at the high school. I have already stated that I oppose the referendum for a myriad of reasons, but I’m always open to change my mind. I went to the meeting to see if I was missing something. For the record, I’m not, but it was an interesting meeting nonetheless. The format of the meeting was manipulative. Normally, in a meeting like this, the superintendent or leader would present the facts and then take questions. I this case, the superintendent gave a short 15 minute presentation, but then instead of taking questions, the audience members were instructed to go to the back of the room and speak individually with the architects, finance people, or school district people to get their answered their questions. The stated reason for this format was to make sure that the “experts” could give more detailed answers. The practical effect was to prevent people from hearing what other people were asking, isolate them, and diffuse any appearance of opposition. Joel Ongert, the President of the School Board, was there. He neither introduced himself to the audience nor answered any questions. The superintendent’s presentation was fine. He stated multiple times that he was just there to give the facts and not advocate. He did not overtly advocate, but the bias is in the presentation of the facts. He presented the misleading view of the tax burden to support the referendum and a skewed version of the timeline leading up to the referendum. But he did also point out that many parts of the buildings were much newer than the original 100+ year-old parts. Interestingly, the superintendent and a couple of other school officials repeatedly made the point that state law forbids them from using referendum money for anything not stated in the ballot question. True, as far as it goes, but the referendum question is very vague and leaves a LOT of room for interpretation. Methinks they protest too much. I took the tour with the principal and about 25 other people. My overall impression was that the school is perfectly fine. The building has some quirky things because of the way it was appended over the years, but it was solid, functional, clean, and generally in good shape. It certainly did not appear to need to be demolished. There were a few maintenance items that needed to be done, like replace some ceiling tiles, but the building was in pretty great shape. Most of the complaints were about theoretical issues. For example, one hallway has a long ramp that might be difficult to navigate for a kid in a wheel chair. Might. Has it ever been an actual problem in the history of the school? Not that anyone could cite. When I returned to the gym, I spoke with the principal and a couple of other people. I ended up in a rather lengthy discussion with a guy who lives in Slinger but sells real estate in Jackson. He was adamant that building the new school would attract people to Jackson and boost property values. When I brought up the projections for declining enrollment and the demographic shift driving it, he brushed it as “projections.” He did admit, however, that building a new building would not actually contribute anything to educating kids. Property values, population growth, etc. may all be good things, but the school district’s mission is supposed to be to educate kids. At the end of the meeting, there was a lady standing at the door handing out pro-referendum yard signs and flyers. Yes, you read that right. On school grounds. After the informational meeting. The School District officials permitted a person to hand out pro-referendum materials. This way, the district can claim to not be “advocating,” but they are giving their support group the space to advocate and bringing the audience to them. It’s a sham end-around of the law. Maybe I’ll print out a bunch of opposition flyers and see if I can hand them out at the next meeting. My overwhelming impression from the meeting was that there are a lot of people lining up to tell me what a great idea the referendum is who don’t live here and won’t be paying the bill. Bray, the architecture firm? Says it’s a great idea, but is based in Milwaukee. Baird, the finance folks? Says it’s the best time to borrow, but won’t be paying for it. The real estate guy? Lives in Slinger, but wants Jackson real estate prices to rise. Even the Superintendent… it did not escape my attention that he still has South Dakota plates on his car. He’s at the end of his career and I am certain that he will not be living in the West Bend School District for the next 19 years to pay off this referendum. Many of the people pushing the referendum won’t have to pay for it, but they will receive financial benefit for it. Bray will make a fortune building the schools if it passes. Baird will make money off of the financing. Real estate guy will make money off of rising property values (assuming that happens). The superintendent will cash in his retirement benefits as he moves back to South Dakota. Everyone there seemed to have their hands in my pocket and not a single one of them even pretends that spending $74 million will make one kid smarter. It won’t improve test scores. It won’t improve educational outcomes. It won’t improve graduation rates. What is more and more clear is that the West Bend referendum isn’t about education at all. It’s about the shakedown of taxpayers for the financial benefit of a few. So I guess I did learn something new at the referendum informational meeting. I learned that it is worse than I thought. Here is my full column that appeared first in the Washington County Daily News. Nothing quite strangles a person, family, community, or nation like debt. Whether it is credit card debt, student loan debt, medical debts, the national debt (now a crushing $22 trillion), or school referendum debt, it not only drains resources in the present, but it robs the future of its choices. Debt is the master who brokers no dissension or leniency. Debt must be served before all others. Why then, does the West Bend School District want to saddle the taxpayers with another generational debt when they are so close to being debt-free? One of the ways that credit card companies, car dealers, student loan companies, and other people who make money off of your debt sell their products is to focus on the payments instead of the actual debt. By taking a $50,000 car and stretching out the loan to 10 years, suddenly a person earning $30,000 per year can “afford” a really nice car. That works great until it is year eight, the car needs expensive repairs, and there are still two more years of payments due. This is exactly the misleading game that the West Bend School District is using to sell a massive debt to the citizens. In April, the citizens will be asked to approve borrowing $47 million for a new Jackson Elementary school and revamping parts of the high school. It will cost approximately $74 million to repay the $47 million loan. One of the selling points for the referendum is that it will “only” cost an additional 13 cents in the annual property tax mill rate to buy shiny new buildings. The mill rate is simply a term that gives the tax rate per $1,000 of property value. So if you own a home valued at $200,000, the 13 cent mill rate increase would cost you $26 per year. That seems cheap, right? “Less than a cup of coffee a month,” the advocates will tout. “Can’t you spare a cup a coffee a month for the children?” And so it goes. We have seen the arguments before. But let us look at the math. 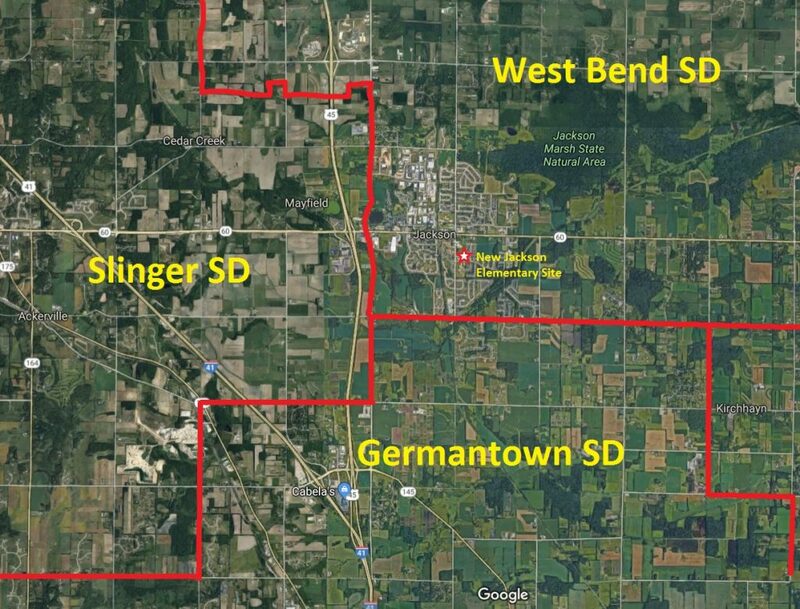 If you add up all of the property in the West Bend School District, it has an aggregate value of $4,720,140,099. A 13 cent additional mill rate would generate $613,618.20 in additional tax revenue per year. How long does it take to pay off a $74 million debt at $613,618.20 per year? Even allowing for moderate annual increases in property values, it would take over 100 years to pay off the debt. How is the West Bend School District going to pay for the fancy new schools with only an additional 13 cents in the mill rate? What sort of financial sorcery is this? The answer, of course, is that it will not cost just an additional 13 cents in the mill rate. It will cost much, much more. In the current tax levy, the taxpayers of the West Bend School District are paying a $1.01 mill rate to pay off the old referendums passed in 2009 ($27.4 million) and 2012 ($22.865 million). For that same $200,000 house, the homeowner is paying $202 per year just to pay for debt issued in the past decade. The old debt is being steadily paid off and will be completely paid off by 2028 — nine years from now. Some of that debt begins to be paid off this year. In short, if the citizens vote against the referendum, they will see this portion of their property taxes decrease starting next year and will be eliminated in less than a decade. If the referendum passes, the district will simply redirect that money to the new debt. The notion that we can pay $74 million in debt with a 13 cent mill rate is ludicrous and to claim so is intentionally deceptive. The truth is that it is not only a tax increase, but forgoing a sizable tax decrease. However one manipulates the mill rate, $74 million is still roughly $1,850 for every adult in the West Bend School District. That is a lot more than a cup of coffee. Getting out of the debt cycle is a choice. It starts at home by paying off old debt while resisting taking on new debt. It starts in the West Bend School District by paying off the old referendums before passing new ones. Instead of stacking debt on top of debt, the citizens of the West Bend School District should break free of the debt trap and vote “no” on the referendum on April 2. In the least surprising news of the new year, the West Bend School Board has decided to ask the taxpayers to go further into debt to build a new school in a district with mediocre performance and declining enrollment. Neat. Jan. 15, 2019 – West Bend, WI – The West Bend School Board set the initial resolution for the April 2, 2019 referendum question at $47 million. The true cost with interest at about 4.25 percent, according to John Mehan with Robert W. Baird & Co., will bring the total to $74 million as that will include $27 million in interest. Cobbling together the outstanding debt of $34,431,000 plus the proposed referendum and interest of $74 million the total, if approved in April 2019 would bring, the West Bend School District debt on referendums to $108,431,000. That’s roughly $1,400 in debt for every man, woman, and child in the school district. Nuts. Meanwhile, they are killing the district’s charter school. Jan. 15, 2019 – West Bend, WI – Parents and students lined up at Monday night’s West Bend School Board meeting to express their displeasure about the district’s plan to possibly eliminate Pathways Charter School. We wouldn’t want innovation or anything crazy like that in the stolid, old, 20th-century education model being offered by the West Bend School District. Kirkegaard recommended three amounts for the referendum: $50 million — the full amount discussed in the past, which doesn’t take into consideration the remaining amount in the funds, $48 million — with a specification that the sum total will not exceed $50 million, or $47 million. The ballot question has to be in its final form by Jan. 22, so the board needed to agree on an amount. One member said enrollment projections are not there to support requesting $50 million so the board should ask for as little money as possible. Another member asked if it was possible to simplify the design in order to lower the cost and if any remaining funds would be restricted. Fund 46 is restricted because the money cannot be spent until at least five years after it was deposited. If the entire fund is spent, that time restarts and the board will be more restricted in the future, so they did not want to spend the remaining amount. However, they countered this with the desire to spend as little as possible and ensure the community knew they were not being frivolous with tax dollars. They settled on $47 million to send the message that they are only asking for what they need. This number will be included in the articles that bond counsel will prepare for the next meeting. Yes… asking for $47 million instead of $50 million really shows fiscal responsibility /sarcasm. Interest on debt like that will run the total obligation to taxpayers up to about $80 million based on current rates. Follow the link to see the video if you want to see the discussion. The Washington County Insider did us the favor of sorting through the announcements and summarizing them for us. Attend if you can. These are open to the public and all of the people who want to spend your money will be there. NOTE that the purchase of the property requires the approval of the electors. The electors are any adult residents of the district, so show up and VOTE. Again, the people who want to spend the money will be there. If you would rather not, show up and vote in the SECOND meeting at 6:15. In justifying his call for a massive spending increase on public schools, Democratic gubernatorial candidate Tony Evers cites the fact that local school districts have been passing referendums as evidence of a pent-up demand for more taxing and spending by everyone. Not only is Evers’ argument flawed, but he conveniently overlooks how dishonest many school districts are being to get their referendums passed. More than 25 years ago, Wisconsin imposed a limit on how much local school districts can raise the local property tax levy, but the state allowed school districts to exceed the levy limit if local voters approved through a referendum. Recently, there has been a spate of school referendums being approved. Where Evers’ logic fails is if the fact that some school districts passed referendums is evidence of an overall desire to increase taxes, then the opposite must also be true. The fact that the vast majority of school districts did not pass a referendum must be evidence that there is not an overall desire to increase taxes. The fact is only a small minority of the 421 school districts in Wisconsin have passed a referendum in recent years. Many of them have not even propositioned the voters with the question. If a majority of districts did not pass a referendum, would it not stand to reason that the majority of voters do not want a tax increase? The recent surge in referendums passing is primarily due to two reasons. First, thanks to the booming job growth and increasing wages, we are living in a time of plenty. It is easy for voters to feel generous when times are good. They often forget that the $300 or $400 property tax increase they approve when the bank account is flush may not still be there when the next recession hits and they are looking for work. The second reason referendums have been more successful lately is because many school districts have found a formula, based on gross misinformation, which increases the odds in their favor. Let us look at the referendum in Cedarburg as a perfect example. First, the school district builds the facade of support through a stacked community advisory group and a phony propaganda survey. There are builders, architects and survey companies who have made it their business to help school districts run this sham process and Cedarburg engaged the infamous School Perceptions to conduct their advocacy survey. As designed, the survey in Cedarburg came back showing support for a referendum. Second, the school district tries its best to hide the real costs of the referendum. In Cedarburg, they are saying that it will cost $59.8 million. That is completely false. The Cedarburg District wants to borrow $59.8 million. As anyone who has borrowed money to buy a home, vehicle, or anything else knows, there is a cost to borrowing. The total actual cost of the referendum, depending on the interest rates and term, is more likely between $90 million and $105 million. Third, school districts play down the tax impact. In Cedarburg, they are claiming that such a massive debt would “be an increase of $58.00 per $100,000.00 of a home’s value.” That is a grossly incorrect portrayal. According to the district’s financial disclosure, the cost of the referendum would be $181 per $100,000. The $58 number is because the district plans to retire some old debt, so the net tax increase would be $58. But if the voters vote down the referendum, they will actually enjoy a tax decrease of $123 per $100,000 of home value when that debt is retired. Not to mention that there are not a lot of homes in Cedarburg that cost $100,000. According to Zillow, the median home value in Cedarburg is about $300,000. So the total cost for the owner of a median Cedarburg home is $543 per year – or $10,860 over the 20-year term of the loan. Fourth, every school referendum is different, but they usually share some similarities in their justifications for needing more money. In Cedarburg, they cite growing enrollment as a need for more space. The problem is that the Cedarburg School District, like most Wisconsin public school districts, has been experiencing a decline in enrollment. Kindergarten through 12th grade enrollment in Cedarburg is down 6.5 percent since it peaked in the 2004-2005 school year. And if you subtract the kids who open enrolled into the district (a number that the district can control), kindergarten through 12th grade enrollment was actually down 10.5 percent since the 2004-2005 school year. Cedarburg District officials insist that enrollment is about to explode even though census data and state projections predict a continued decline in enrollment. Cedarburg officials rest their predictions on a bizarre analysis of residential development in the district. The problem is that history does not support their projections. In short, district officials are claiming that the district will add far more kids per new development than has been the case for the last 10 years or more. Fifth, the school district leadership stonewalls anyone who might ask tough questions. In the case of Cedarburg, the superintendent declined to comment on the referendum and pointed to the district’s website for all inquiries. If the voters in Cedarburg are smart, they will see through the balderdash that their school district is trying to sell them and vote down their referendum. If not, and they choose to foist a huge tax increase on themselves, it is certainly not an indication that anyone else in Wisconsin wants a tax increase too. From the Washington County Insider. In the Spring Town Crier, it was mentioned that the Town Board may be asking residents to approve an increase in the levy in the near future. Because of the increased road repair needs, as well as the comments and questions received regarding road repair and maintenance, the Town Board has resolved to place a referendum question on the November 6 ballot. The levy increase referendum must be presented at a General (November) election, or at a Special Election. The Town Board decided it would be better to present it this year, rather than wait until the 2020 General Election, or spending money on a Special Election in 2019.